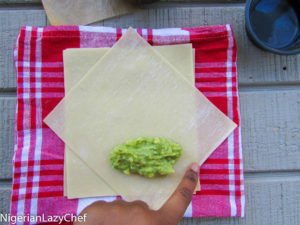 I thought about love and what it means to different people and I looked at this recipe and saw how different; yet how similar it is with the original. 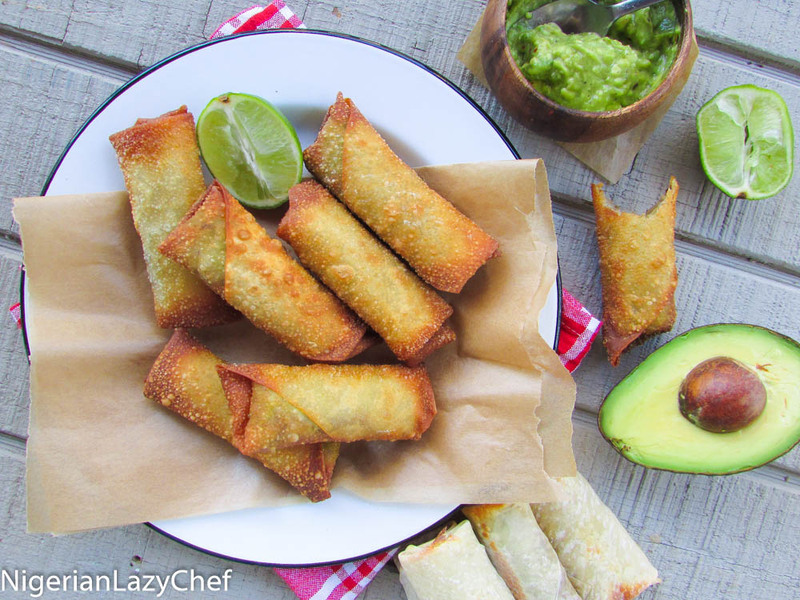 When you think of egg roll wraps, you think about the Chinese or Japanese people. The first thing that comes to your mind is not suya 🙂 Fast forward to today and how I used a similar method, but with a different filling. I used some shrimp and beef suya . (You could use some chicken suya too). When you think about relationships and genuine love, it’s always two people of different back grounds coming together against all odds. 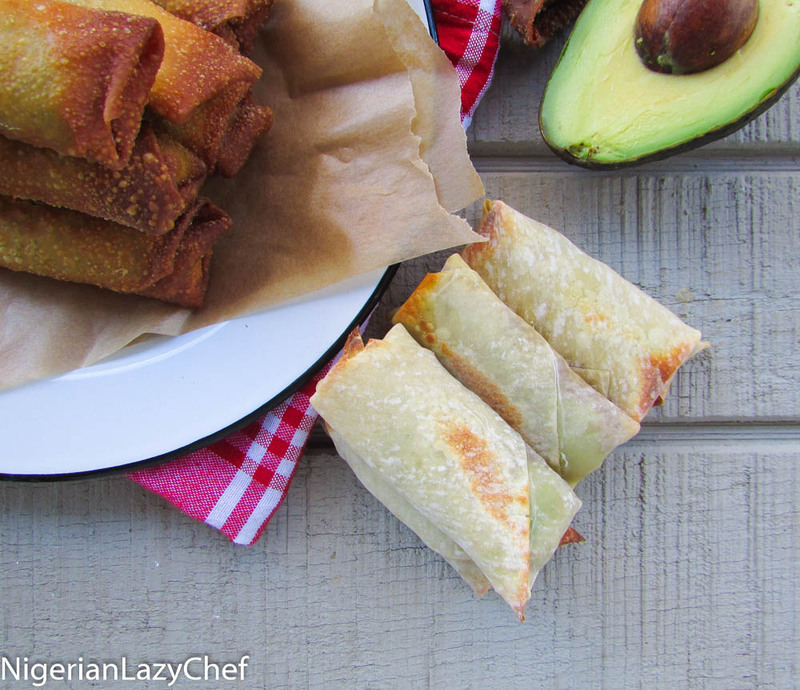 Now, see how I married the flavor of the suya into a non traditional Nigerian egg roll. 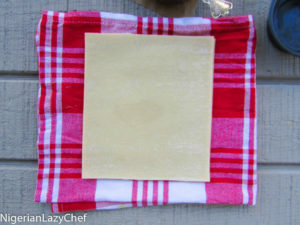 This recipe came about one day while I was looking for a way to incorporate the Asian style of cooking into my recipes. If there is any way I enjoy food, it’s by doing fusions like this. As my blog is known for a specific kind of food from a specific area, I wouldn’t want to confuse my readers one bit, so I’d rather fuse the flavors. Same with love, it’s about compromise. Love isn’t selfish, love looks for ways to make things go smoother; to keep everyone(both parties) involved happy. Back to the recipe proper. 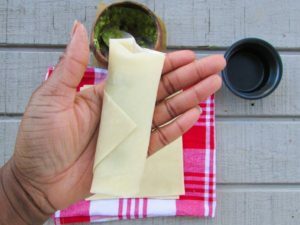 While you can make your own egg roll wrappers, I went for the store bought version. 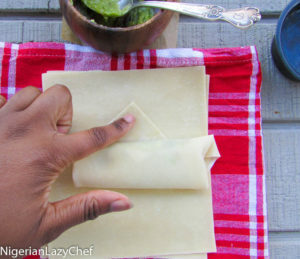 I will do a post on how to make home made egg roll wraps later. I just wanted to make sure I had this recipe right before doing anything extra. Lazy chef things ehn 🙂 If you would like, you could add some soy sauce to the mix while sautéing. I didn’t add any soy sauce to this one. For those on #fitfam, be not afraid. You could bake yours for a healthier portion and it tastes just as good. I promise! 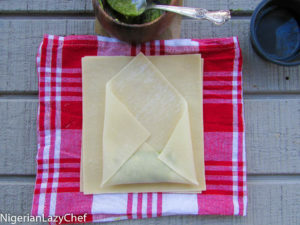 I made these sometime during the cold season and for some reason, I held on to the recipe. Sorry about that folks…for keeping this awesomeness away from you for too long. 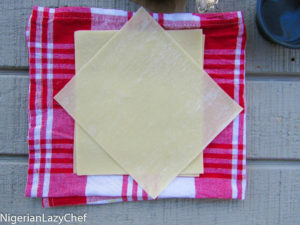 Now go make some! Be that kitchen super hero you want to be and may the force be with you #sprinklesfairydust! mix the ingredients for the dip and set aside in the refrigerator to cool. In a frying pan, heat the oil; then add the onion,and garlic, Sauté until the garlic is fragrant. Add the ginger and tomatoes. Sauté until the tomatoes has reduced. Pour in the cabbage and saute for a few minutes. Add the suya shrimp or beef suya; along with the chili pepper. Season to taste and set aside. 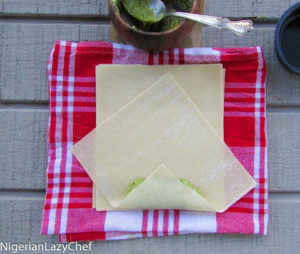 This entry was posted in Beef suya, chicken suya, Nigerian small chops, Nigerian snack, Nigerian Snacks, suya, Suya recipes, Uncategorized and tagged Asian egg rolls, Beef Suya recipe, egg roll recipe, Egg rolls, Nigerian egg rolls, Nigerian spring roll recipe, Nigerianfoodblog, shrmp suya recipe, suya egg rolls.